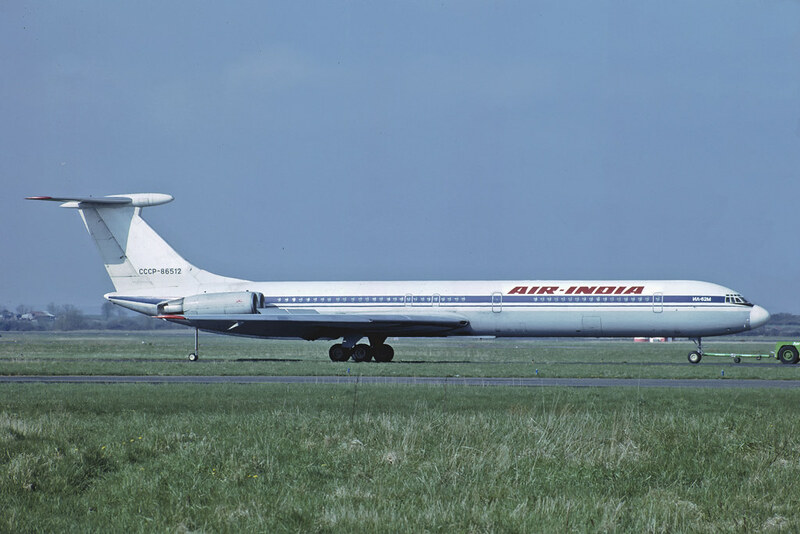 Airliners-India :: View topic - Any other pic of Air India's Il-62? 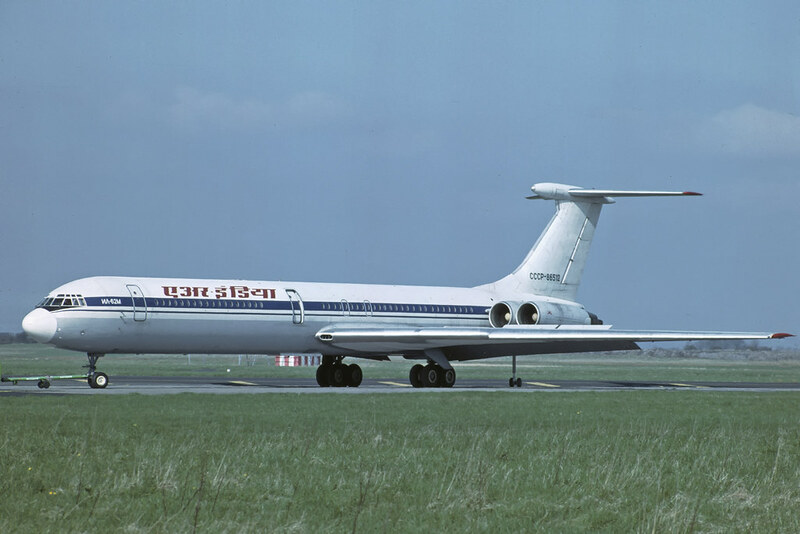 Any other pic of Air India's Il-62? 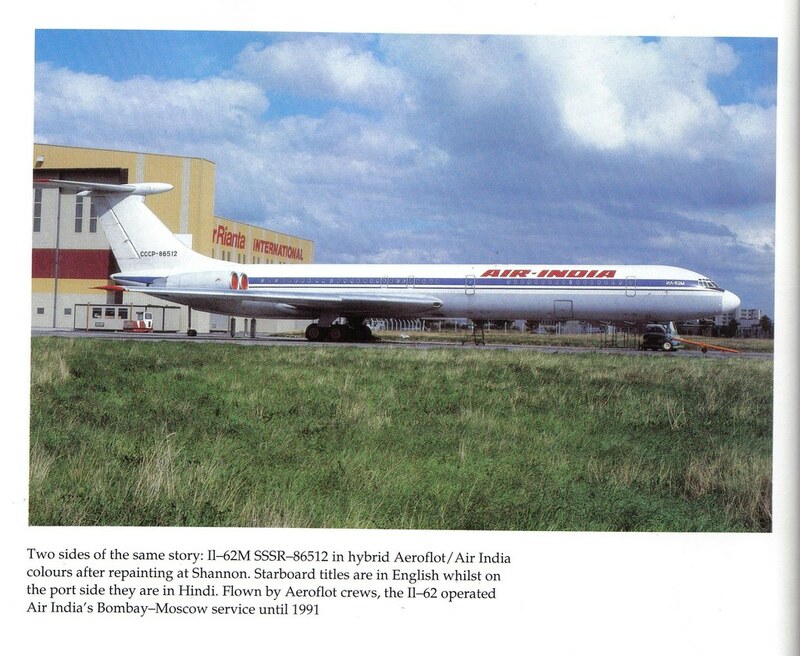 Posted: Thu Apr 10, 2008 4:15 pm Post subject: Any other pic of Air India's Il-62? 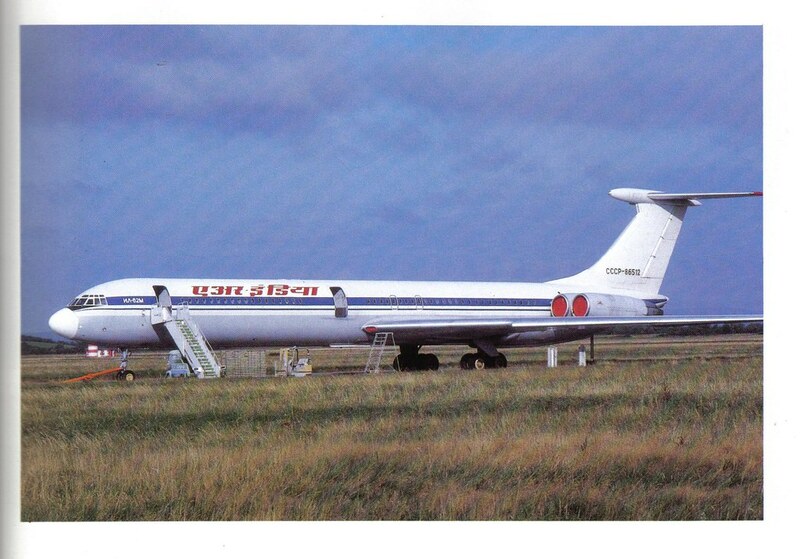 CCCP-86512 was the Il-62 leased by Air India from Aeroflot. 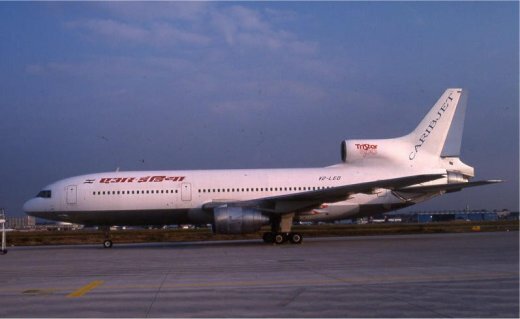 Does anyone remember if it had the Air India markings on the tail? I recount glancing up aand having a fleeting glimpse at an Il-62 with reddish markings on its tail quite high up in the sky, so I wanted to be sure. This was in the late 80s. I wonder if anyone on the forum has any other picture of this craft. Never seen another pic of the Il-62 leased by Air India from Aeroflot besides the one on A.net; but here are pics of the safety card from CCCP-86512 with AI hybrid colors. Wow 747-237, that's a good find. Bad luck that there are no other pics around - but someone on this forum must have seen this plane in question - or was it too early for most of the current members? Sumantra, you might be right on that it was way back in the 1980s, so might be too early for most to have spotted it. I remember seeing the IL-62 routes on my Dad's 'broadsheet' (i.e. a timetable from AI operations that the cockpit crew got, with a little more info. 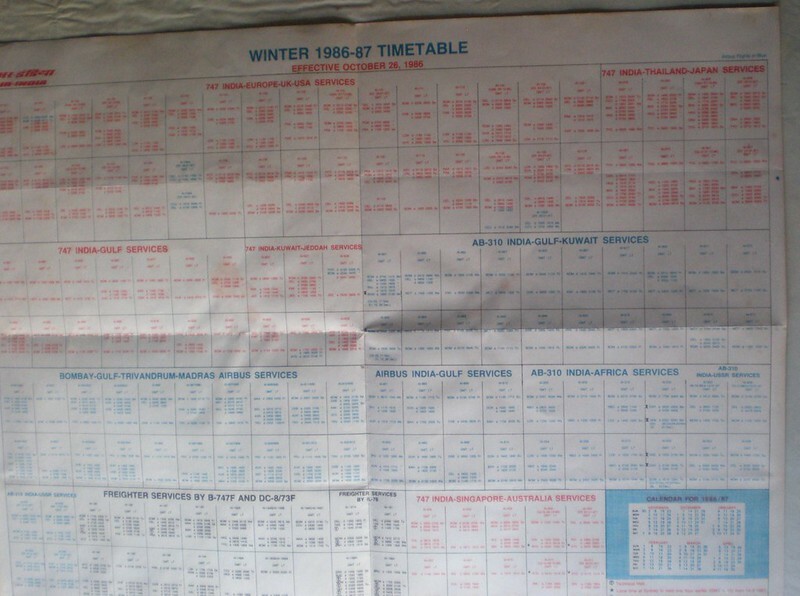 than the regular timetables. If I recall correctly, the IL-62 used to operate on the DEL-SVO route, so she perhaps never came to BOM, & hence I never did see her. Another 'ghost plane' that always peaked my interest is the leased L-1011 from Caribjet, with the reg. VT-LEO. Apparently she was leased by AI only for one day !! Here is the only pic I ever found of her & often wondered what the full story was behind the hybrid colors being applied for a day ! Thanks for the very prompt reply, 747-237! Sumantra, here you go buddy.......it's your lucky day !!! First Flight was August 30 1980. November 17 1987 : Arrival of the wet-leased 140 seater aircraft IL-62M in Bombay. The aircraft has 8 First Class, 30 Business Class and 102 Economy Class seats. November 20 1987 : Commencement of thrice weekly service to Moscow with the leased IL-62M. February 18 1989 : Tashkent in Uzbekistan becomes online again. The weekly service is operated with an IL-62M aircraft wet-leased from Aeroflot, every Saturday. So I guess we were wrong, & she did visit BOM, not just DEL. Great to re-visit this part of AI history ! What kind of "First Class" can you put on a narrowbody? 1-1 layout? 2-2...remember this is 20 years ago where International First Class was similar to todays domestic first...maybe worse. Didn't AI 707s have first? Must have been along those lines. Wow 747-237 - I do not know if I can thank you enough. Can you also give the sources for the pics, and some other links? Are there any other pics available? A.net has some dead links for some pictures. I wonder if anyone has a cached copy. Further, maybe someone on both fora may have some clue to the article poster, or some picture. The part on the history was wonderful - thank you! 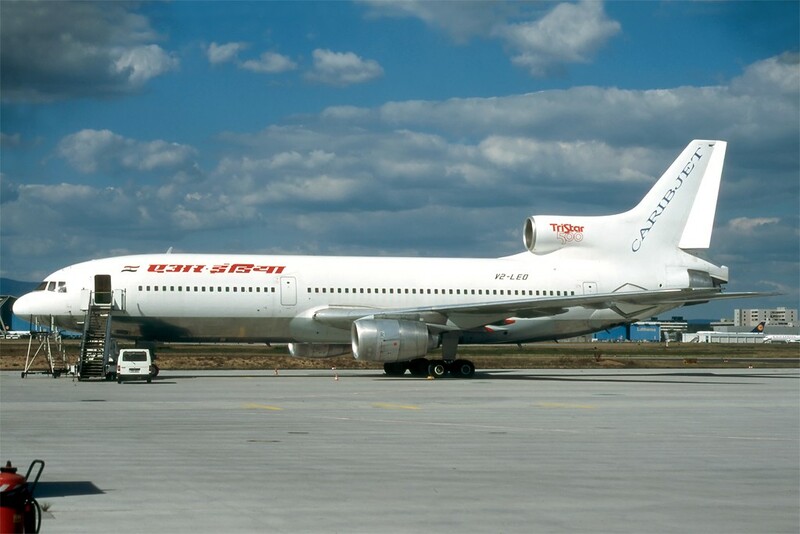 at two places - the Centaur on the outer engines, and the Air-India titles in English and Hindi on the two sides. So the Il-62M I would have seen high in the sky may have been on an unscheduled flight, possibly a VIP one - the one whose tail I had thougth to be red. (I had just put two and two together that time...) And CSA did not have a service then to DEL, did it? Didn't AI 707s have first? They sure did ! Still have vague recollections of my trips aboard the AI 707s first class as a child. You're welcome, Sumantra. Glad to be of help. Will let you know what I find. Yes, it was probably CSA......I remember seeing them at BOM, though don't recall if they served DEL. Could it have been just good old Aeroflot ?? Or Interflug (did they ever come to India....I remember seeing them at a gate, just don't remember where ) ! Coming back to the Caribjet leased L-1011, (V2-LEO to be more specific), here are a few pics of the Indian flight attendants who worked those flights. (So here's another 'Blast from the Past' for you ) !! "Yes, it was probably CSA......I remember seeing them at BOM, though don't recall if they served DEL. Could it have been just good old Aeroflot ?? Or Interflug (did they ever come to India....I remember seeing them at a gate, just don't remember where ) ! " Hmm... no, it wasn't Aeroflot, I'm quite sure, since a split-second after the reddish tail, I looked under the wings - no CCCP written there. As a Delhi-ite, I quite admired the Aeroflot Il-62Ms, but they did not pose any surprise to me in terms of their liveries. "Coming back to the Caribjet leased L-1011, (V2-LEO to be more specific), here are a few pics of the Indian flight attendants who worked those flights. (So here's another 'Blast from the Past' for you ) !!" Wow - this is really incredible. Really incredible. This was a one-day lease, and you have managed to get pictures of the crew on this flight also! 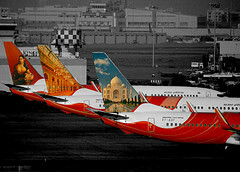 Getting greedy, do you have any other pics of the aircraft with Air India titles? Further, thanks for the AI Il-62M offer - yes, I'll certainly look forward (no, in all other directions as well), for any other pictures or information on that! Sumantra, the pics are of the Indian Cabin crew who were on the L-1011s, so they probably worked on the other two (LEK & LEJ) was well, besides LEO. The pics are probably not from the LEO 1-day lease but other AI L-1011 flights, but nonetheless are still a treat. The lady in the center pic is (apparently) riding the cockpit jump seat, & the ladies in the pool are the crew during initial training in Mauritius. Will try & find some more pics of LEO with AI titles. The two earlier pics seem to have been de-linked as well, so here they are again. @747-237, I am really speechless at your memory, and your incredible capacity and endeavour in digging up an exactly-three-year-old topic, and adding three invaluble gems to it! In the intereim, I had only come across Mr. Jimmy Wadia's pic of the Il-62M taking off from BOM. A Bumped up Oldie thread & bumped with fantastic pictures too. Sumantra, this might tickle your fancy !!! This definitely did - thank you! Yes, at that time, I too had imagined something like this would look spectacular on the beautiful Il-62. The windows in this narrowbody look a bit too high to balance the nice horizontal bounding lines, though the windows with the earlier multiple small arches are simply fantastic. (my personal opinion!). Further, the Air India on the tail has been done along the portion with the maximum coverage, which looks nice (unlike the current ATR-42 with the Flying Swan livery). Thanks a lot, once again! Glad you liked that, Sumantra. 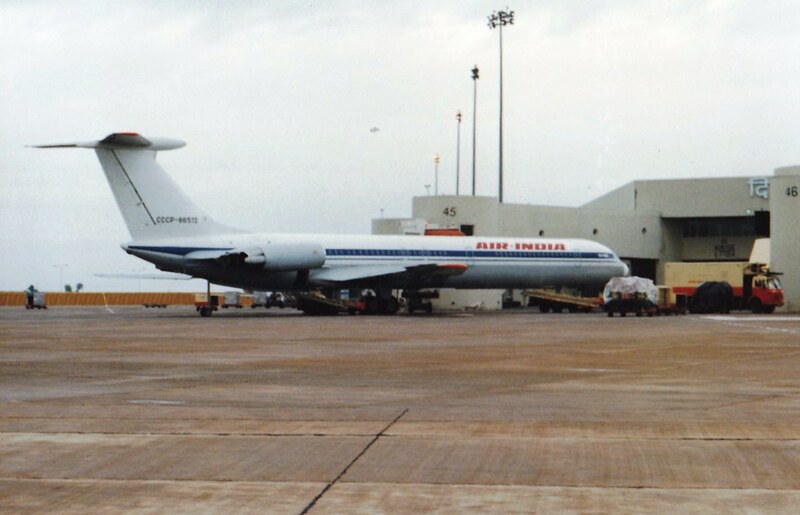 Speaking of leased Ilyushins, here is one of the 3 IL-76s leased by Air India Cargo in the late 80s: CCCP-76479, an IL-76TD from Aeroflot's Polar division wearing her signature Arctic/Antarctic Red color scheme, & Soviet Flag. 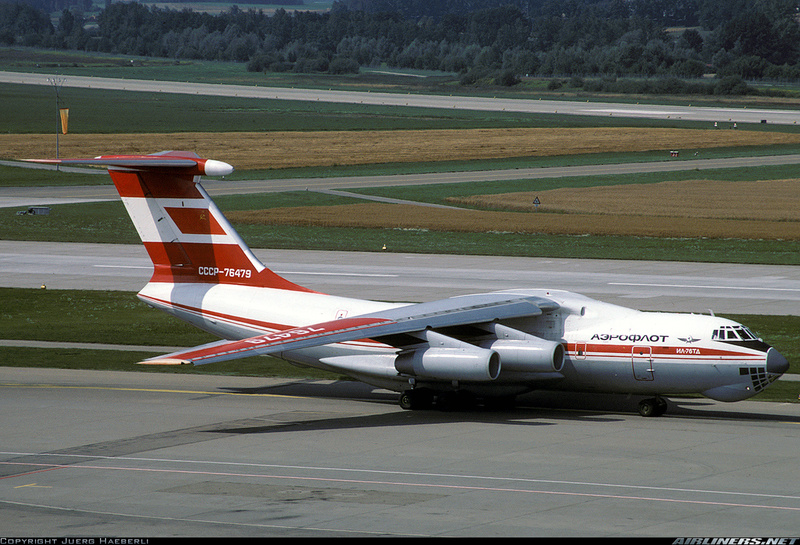 (Unlike the leased IL-62M, the 3 IL-76s retained their Soviet Flag on the tail). IIRC, she was a regular on AI Cargo runs to Zurich. Here she is at BOM in 1989, doing duty for Air India. The information shows that this picture is circa 1986. So, this plane wore three sets of colours! Air India could have put some decals on this place - but then, decals were not quite popular in those times, paint jobs were more common! Thanks once again for your periodic efforts to pull out such gems from history! 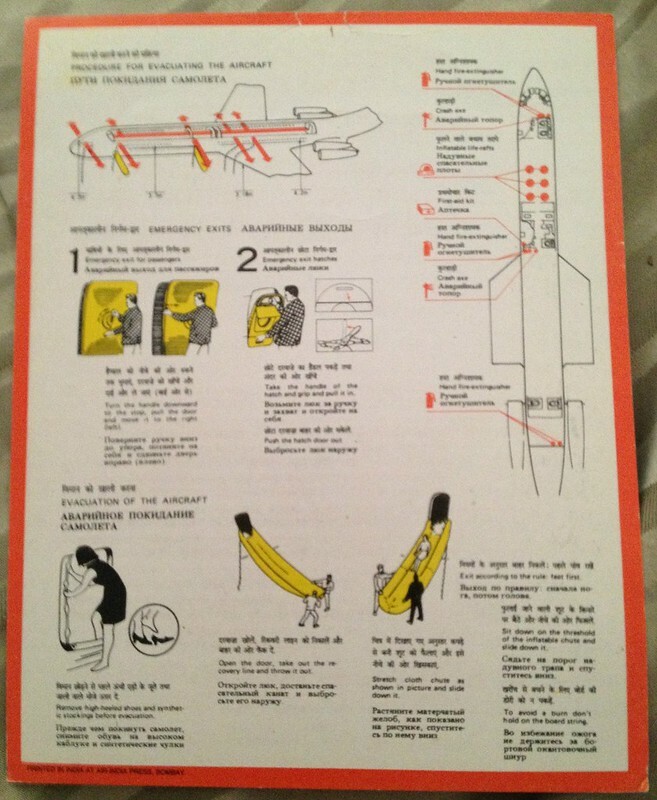 Here are a couple of pics of the safety card from the leased L-1011s. Wow - kudos to your enthusiasm for pulling out such gems from the past. This is fantastic, 747-237! Thanks for re-kindling this flame/thread once again. I really wonder how many more have pictures of this beautiful bird in the unique livery. Here's another pic from the same book, with Sumantra's beauty in her natural surroundings. What a fantastic find! This would be a real amazing picture, since it comes from SVO. Talk of bearding the lion, in it's den! Here's another rare pic of her at SVO (maybe on her way to / from India). Epic Pic, epic! @747-237: how do you dig up such rare pictures, that too, at the drop of a hat? 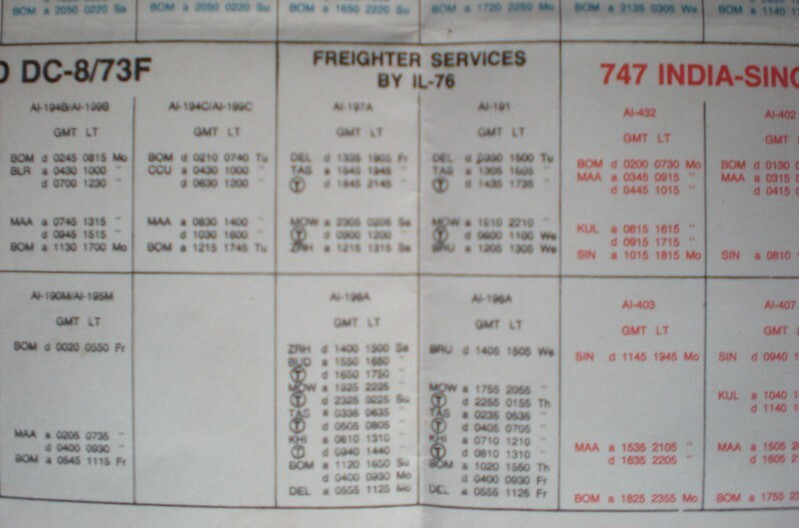 Sumantra, thought you might like to see the reverse side of the Air India IL-62M safety card. ..you are simply awesome. How did you lay your hands on THIS! Thanks for sharing this with us - this is really great! 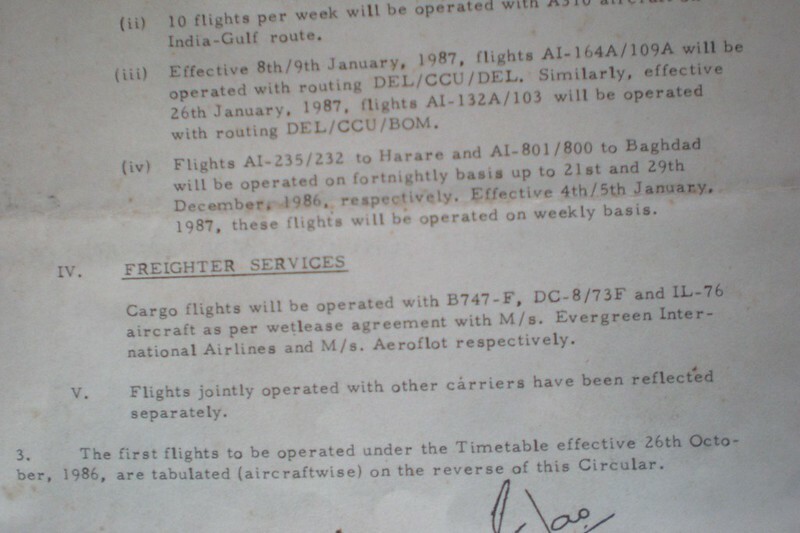 Sumantra, you might fancy this ..... my mom came across one of my father's old Air India "broadsheets" (these were timetables for the flight crew from the AI operations office) from back in 1986. 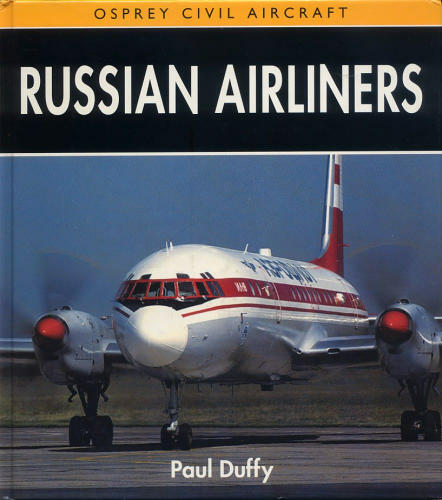 It has some info about the leased Il-76 freighter ops. 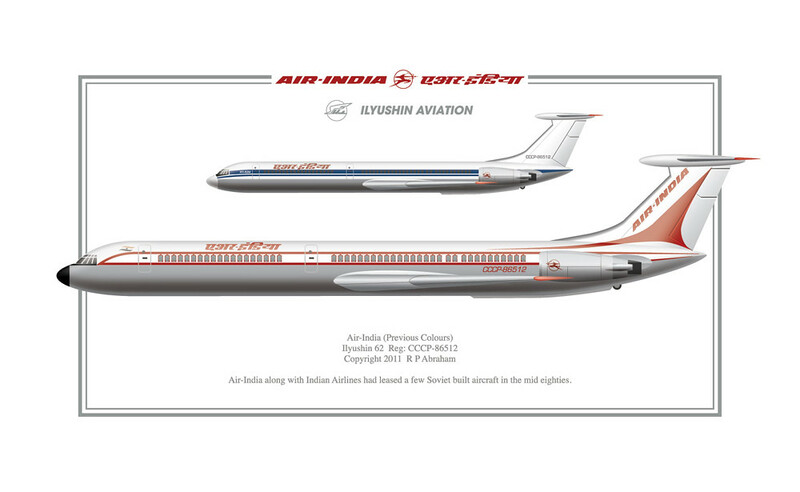 I've been trying to find one of his old broadsheets from the time when the Il-62M was in service for Air India, but have been unsuccessful thus far. I (or rather my mother) will keep looking .... untill then enjoy some Il-76 info ! Super interesting this is ! Deb, this is very interesting indeed! 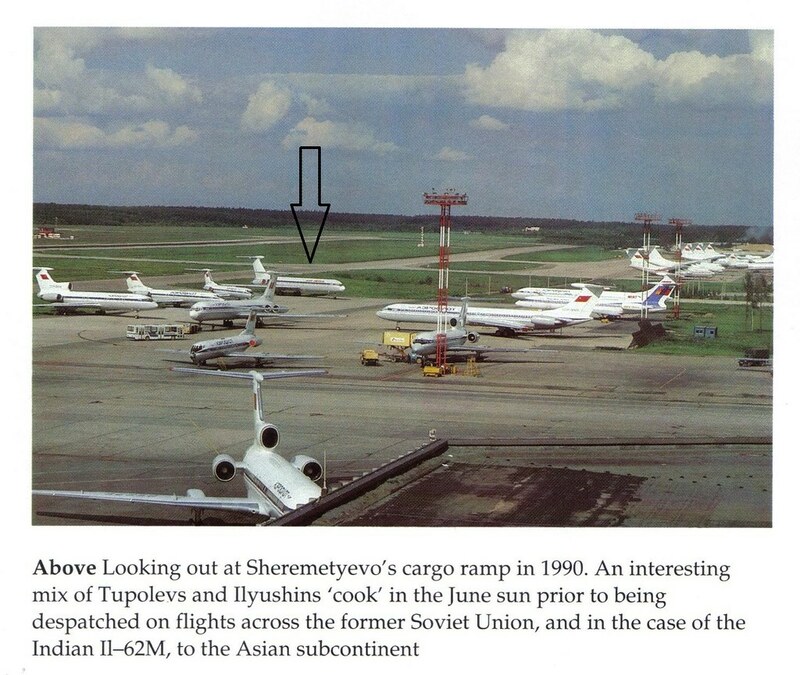 I have seen pictures of the leased Il-76 on A.net, and have been absolutely fascinated with their history,but did not find anything very relevant on the general Internet. This is fascinating first-hand matter, and gives a good insightinto the operations in the 1980s, a time of great turmoil for the airline. Thanks a lot for sharing this with us! Thanks a lot Deb, The broad sheet does bring back old memories. In the old days, the flights were so limited that I had the schedule by heart. In the old days, the flights were so limited that I had the schedule by heart. Here you go, Sumantra - your favorite bird, this time at DEL. Deb, you will never cease to amaze all of us. Just when one had thought that all existing pictures of this exotic hybrid liveried beauty had been exhausted, you come up with yet another one, this time, in my then, and current home-base. Thanks a lot, you just made my day...for many days to come. Do you have any other details of this picture? Ramp photography was frowned upon then even more than today, was this a part of an official photo-shoot for the then relatively new IGIA T2? Or did you scan this in from a magazine picture, where it came as a part of a photo-shoot, where the photographer had explicit ramp permissions? Or were you the photographer, with as much of enthusiasm as you have now, if not more! Thanks once again, this is a very rare find! Sumantra.